Music is the soul of life. Without music, we’d fall into the abyss of depression and may never come out of it. It keeps a headache at bay and helps us lift our mood when we’re feeling a bit down than usual. To be honest, music plays a vital role in our lives and we simply cannot live without it. When there was no internet, people used to turn to local radio stations and bought VCRs and audio cassettes to enjoy music. Since the internet has arrived, the picture has been completely changed for music. Because of the presence of a computer, laptop, or a mobile phone, we can easily convert a music file from one format to another. Not only that, we can also reduce their size and save hundreds of songs on our mobile phone devices. Thanks to the internet, we can now have an access to millions of songs. There are a ton of brilliant artists singing beautiful songs and mesmerizing us with their amazing voices. All we really need is an enjoyable song track, soothing lyrics and a mesmerizing voice to cheer us up. However, there can be a few instances when you have listened to a new song at a radio station, music app, public place, or in your car but you have no idea who the artist is or what is the song title. You really liked the song but have no idea how to look for it since you don’t even remember the lyrics properly. It can be an arduous task to look around for that particular song especially when there are numerous songs being released on a daily basis. Well, you do not need to worry anymore because there are music recognition apps that can help you identify the song you’re looking for. 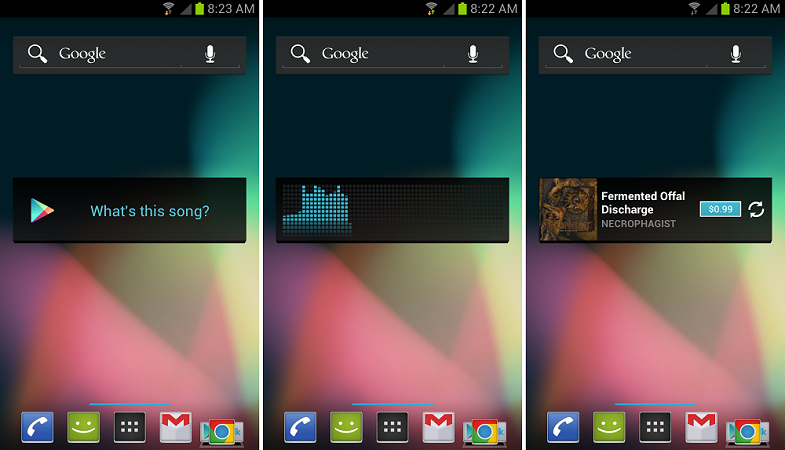 Music recognition apps for Android are available as well as for iPhone. 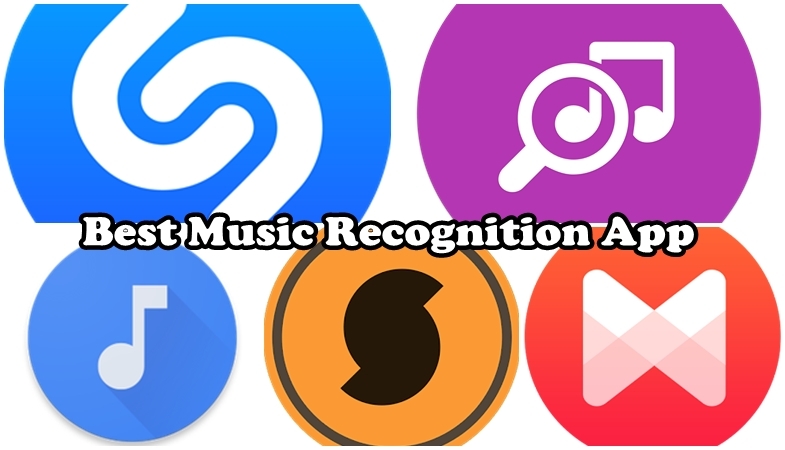 Let’s quickly discuss the top five music recognition apps to identify music. 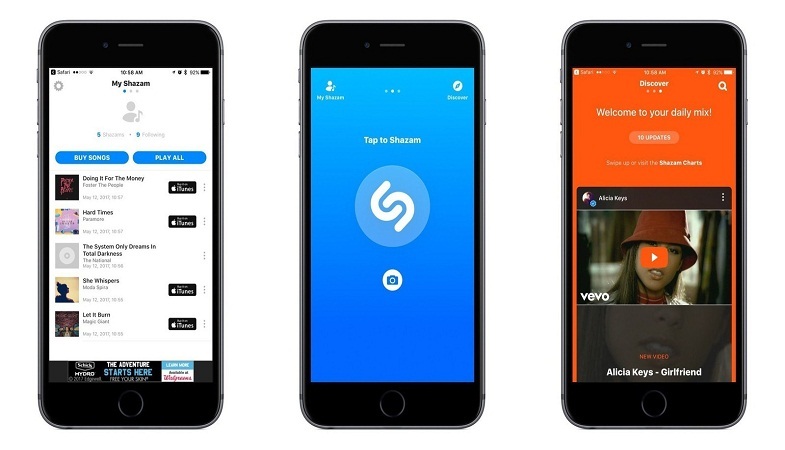 Shazam is, undoubtedly, the most downloaded music recognition app. With an incredible rating of 4.4 on various app stores, this app comes with a massive collection of songs. Though it has an enormous music library, you wouldn’t find any problem while looking up for a song on this app and will be able to identify a song within a few seconds only. The app is not only popular among the users but also leading artists such as Demi Lovato, Adele, and many others. They use this app for discovering new music. Shazam has a user-friendly interface, offering fast user interface. In fact, this app is considered as the best music recognition app for iPhone and Android. It also displays links to various other music streaming services. Along with identifying music, Shazam is also popular for recognizing TV shows. 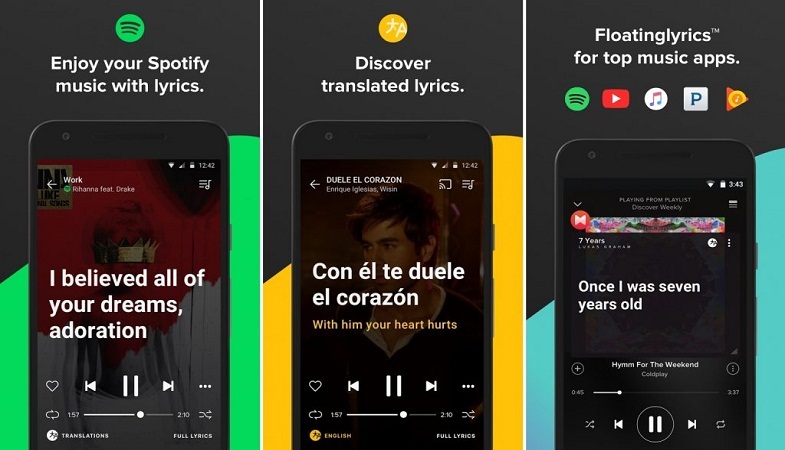 Moreover, it also works as a Karaoke app as it displays lyrics of a song line-by-line for users to memorize them and sing along with the song. After Shazam SoundHound comes into play. This is the second-best music recognition app for identifying a song. In fact, it is considered as the best alternative to Shazam. SoundHound offers an incredible interface and it doesn’t ask users to register an account or log into the app with Google or Facebook. On opening SoundHound, you will come across a black/gray colored interface with a toolbar having options such as open search history, discover the latest music, music world map, and inbuilt music player. 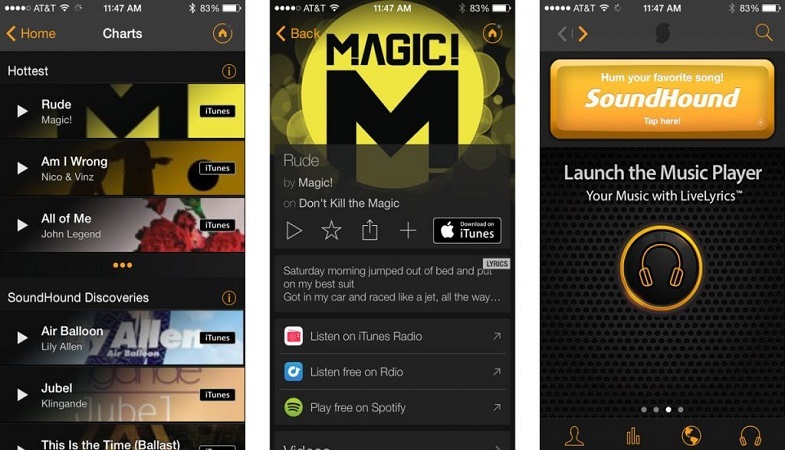 A circular button with an orange SoundHound logo will capture your attention and as soon as you tap it, the app will enter into the listening mode. When you hold your mobile device near the speaker of your TV, laptop, or PC and wait for a few seconds, the app will recognize the song. After that, it will display the song’s details as well as its lyrics. Another best feature of this app is that it also recognizes your words. Instead of playing a track, you can simply hum the lyrics of the song and then wait for the app to display its details in front of you. It is available for both Android and iPhone. TrackID is owned by Sony Corporation, which is in fact, one of the biggest electronic brands in the world today. This music recognition app is a powerful app when it comes to finding a song on the internet. Working in a similar manner as Shazam and SoundHound, TrackID also displays a slideshow when you use it for the first time. The first slide shows brief information on the app whereas the second one asks you to accept the terms and conditions. When you tap the ‘I Agree’ button to enter the main screen, the app will display a round search button and present options such as open search history, discover top tracks country wise, and listen to live music stream. The 1st slide displays brief information on the app. The 2nd slide asks you to accept terms and conditions. 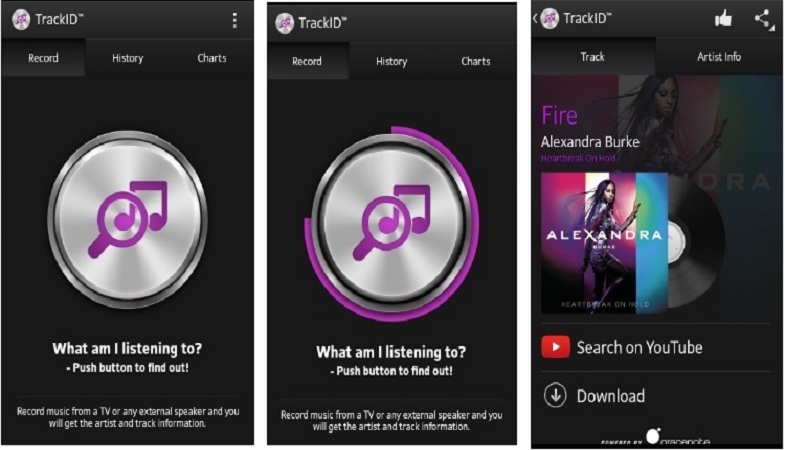 On tapping the round button, TrackID will be able to recognize the song and show you its details. Sony does a commendable job with this music recognition app as it supports over 59 international languages. With a well-designed music player module, TrackID also provides links to the song’s official YouTube video. The Sony TrackID app does a commendable job of identifying songs. It has a well-designed music player module and provides links to the song’s official YouTube video. If you’re only looking for best music recognition apps for Android then you should go for Sound Search. Though it is not really an app – it’s a simple tool to identify a song and we would still recommend it to you, considering you’re an Android user. Google has launched this utility, making it easier for the users to identify a song on the internet. After you’ve installed Sound Search from the Google Play Store, the app will add a simple widget to your mobile phone home screen. The widget comes with a ‘What Song is this’ text written on it. Tap the text and then wait for Google to recognize the song. You can also add the widget to the lock screen of your mobile device. Once Sound Search has managed to find the name of the song, it will open a link to download the same song from the Google Music Store. Last but not the least, MusixMatch is another best music recognition app to have featured on our list. Though it is an incredible and really popular music recognition app, it does require you to register a new second and sign in to the app using your Facebook or Google account unlike the other apps mentioned in this post. However, there’s also an option to skip account registration altogether. When you tap the skip option, the app will ask you to play a random song on YouTube to make you believe that it really works. Once the song is played on YouTube, you will open the MusixMatch app all over again and then tap its menu bar. Here, you will select the identify lyrics options and then tap the dark orange button. This music recognition app comes with many interesting features that you really need to check them out.